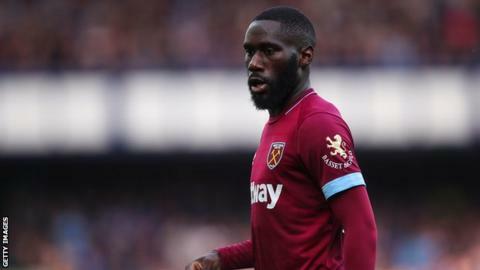 West Ham and DR Congo defender Arthur Masuaku says the media has a key role to play in combating racism in football. His comments come after incidents of apparent racial abuse at Premier League matches this season. “The media can be more positive about black people. The media has a big influence on people,” the 25-year-old told BBC Sport. Masuaku added that he has not experienced any issues in his time playing in the Premier League but it is a bigger problem across Europe. “In the Premier League nothing happened to me but I have seen in the news what happened to (Raheem) Sterling,” he said in reference to the Manchester City star’s social media post where he expressed his views about the portrayal of black players in the media. Sterling’s comments followed media reports of alleged racist abuse aimed at him in the 2-0 loss to Chelsea on 8 December. “I’d say in Greece some teams have stupid fans. It happened to me once when one stupid fan spat at me and he did the ‘go back to your country’ chant and I was just laughing,” explained Masuaku, who played for Olympiakos in Greece from 2014 to 2016. “It’s sad but you cannot do anything about this because if a guy is just stupid they will just do it. Football anti-discrimination charity Kick It Out, which publishes annual statistics based on reports of discrimination, recently said that there were 520 incidents in the 2017-18 season, up from 469 in 2016-17. Most of these reports (53%) were about racism.